There are many horror films that start with a car breaking down, stranding the protagonists somewhere far from civilization. 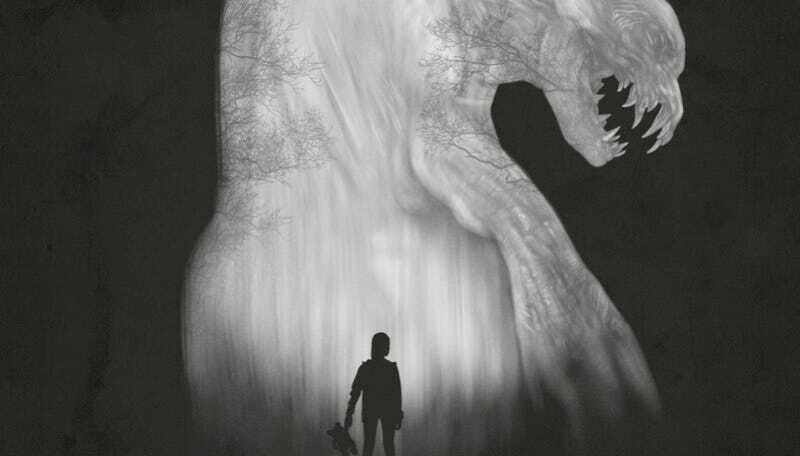 The Monster, the latest from Bryan Bertino (The Strangers), raises the stakes on that scenario by making the unfortunate travelers a single mother and her young daughter, and the car trouble is only the beginning of their problem. Of course they’re not alone in the woods. But what is out there, exactly? The suspenseful trailer (and that putting-it-out-there title) offers some terrifying hints. The Monster, which stars Zoe Kazan (Ruby Sparks), is available now on DirecTV; it’ll be in theaters and On Demand November 11.